Role-Playing Games (RPG's) are fun and enthralling. The immersing affect they have on the people participating is a product of the high level of interaction involved in playing an RPG. As the name suggests, role-playing is central to the experience. To role-play, all one has to do is take on a particular character's role and act it out. In a basic sense, it's like putting on a play without a script. There is a setting and a loose plot. 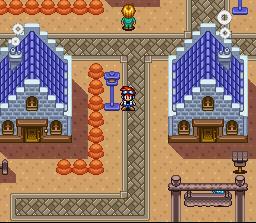 Environmental elements or props are provided, but it's up to the players to create their own stories. 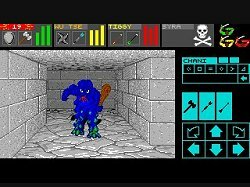 As roleplaying games go Dungeon Master has a fairly simple story with minimal plot development that is generally in line with other games of its time. You start at ground level and make your way down through the dungeons to the deepest darkest level to rid the labyrinth of the evil sorcerer. In the process you must fight an array of successively more ferocious monsters, and negotiate more and more devious obstacles of the open pit, locked door and flying fireball variety. Many of these are still a lot of fun and very careful observation is called for. stairs and head through the bushes to the west. There's four hidden Treasure Chests here, so find them and open them to obtain 1,000G, a Ether1, a Ether2 and a Cure2. Scrub. Use the flower on your platform to launch yourself into the air. have to time your next jump to land on the rotating platform.